Finding cool stuff for babies is such a mission! So many of the things in the shops are made with either sickly pastel colours or garish primary colours. What ever happened to nice colour combinations for kids? There are a couple of places I have found to get good baby bits – there are some lovely designer things you can buy online and Mamas and Papas has nice stuff, but it is all SO expensive. I have been looking at old Fisher Price toys on eBay and some of those are so great. 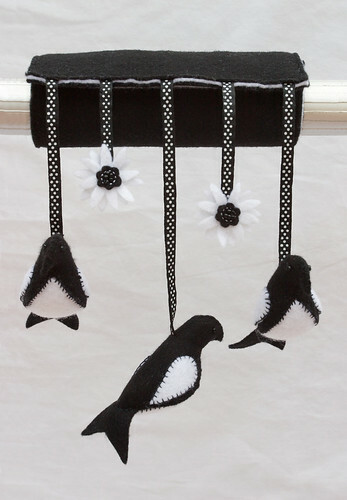 How can it be so difficult to find baby things that you would actually like to have in your home? 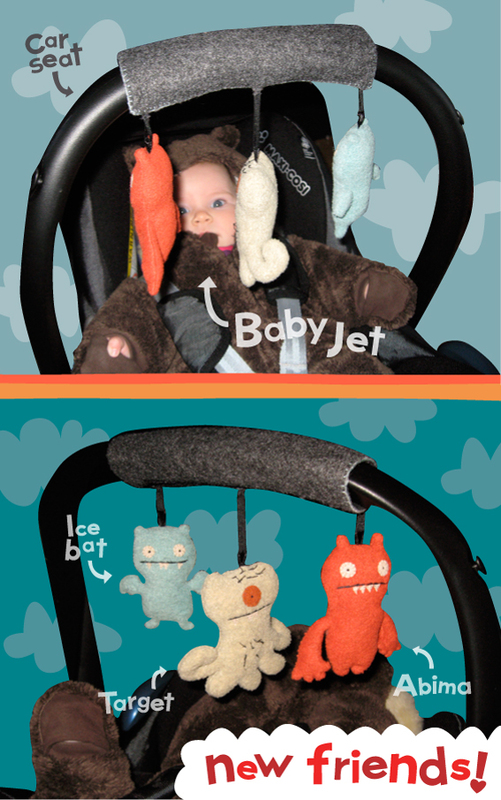 Here is a mobile I made for Jet to hang on her car seat. I LOVE Ugly Dolls, so I made her this from 3 Ugly Doll keyrings which I took apart and sewed onto a specially-made felt handle. 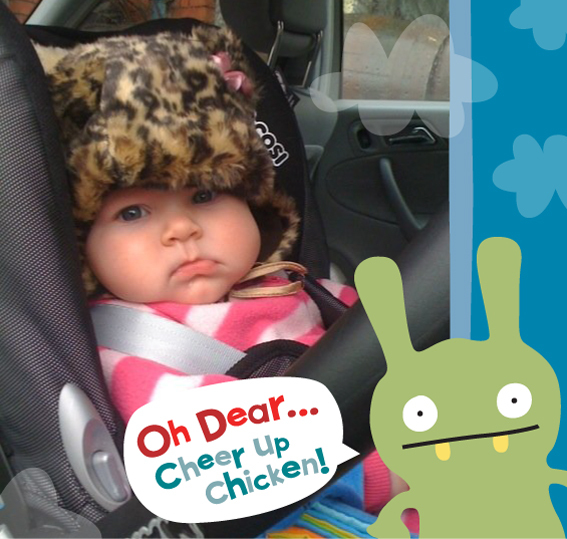 It works a blummin’ treat – YAY!! And here’s a picture of Jet in the car last week – clearly enthralled that I went to all the effort!! This month saw the happy arrival of my second little niece Emilia Zara – ahhhhhhhhh!! Materials: embroidery thread, felt, bamboo hoop, ribbons, acrylic stuffing and glass beads for the eyes. 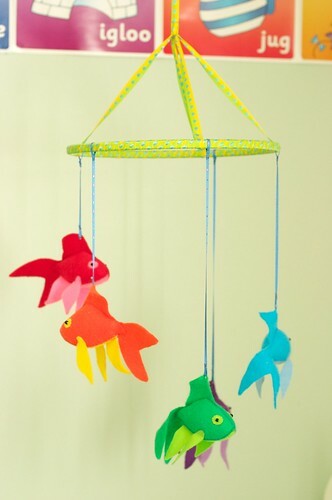 Pattern for fish can be found here.